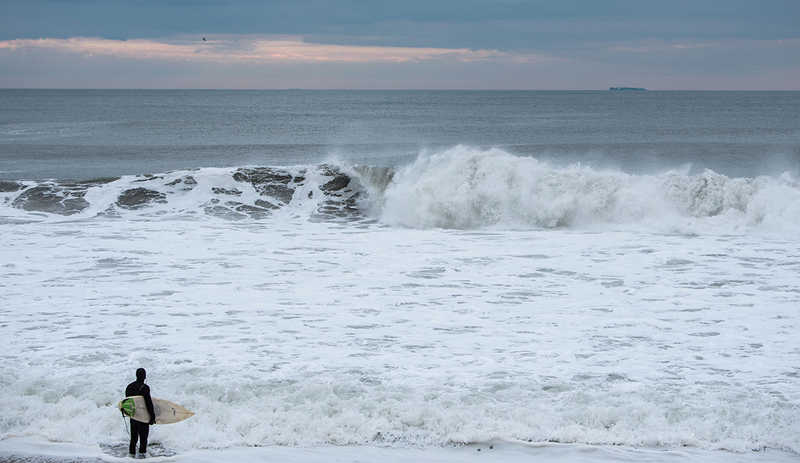 Winter is here and so is the East Coast surfer’s hope for real waves. Online surf forecasts are our addiction, we check for the coming week’s potential; start planning or daydream of a tropical escape. 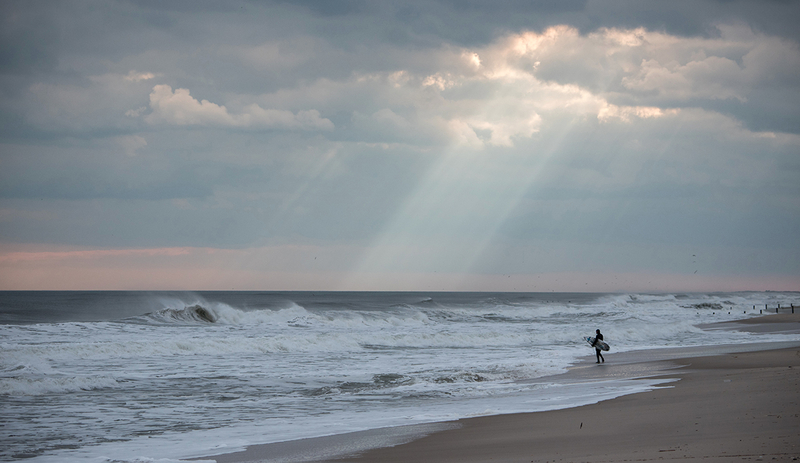 When the weekend started the ocean was flat but the forecast promised solid surf for the afternoon. Hard to believe but I had a good feeling. 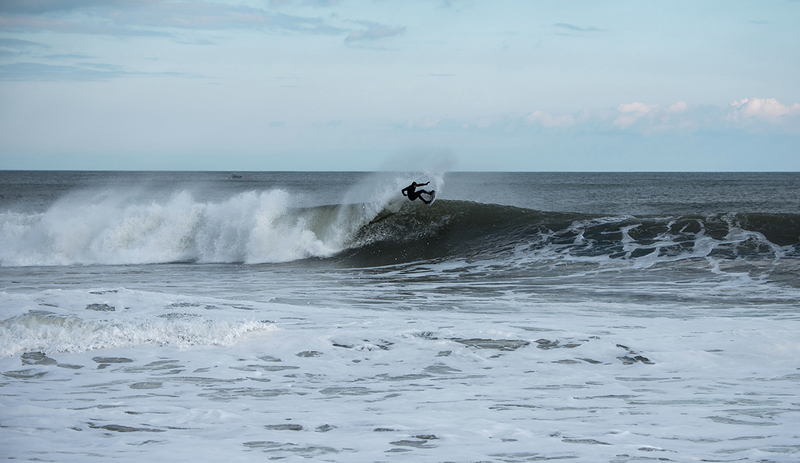 I got on the road and headed straight to South Jersey; stayed in touch with a couple New York surfers who were en route. They had their favorite spot and I had my eyes set on finding the tasty Jersey spikes. We planned to meet at some point. 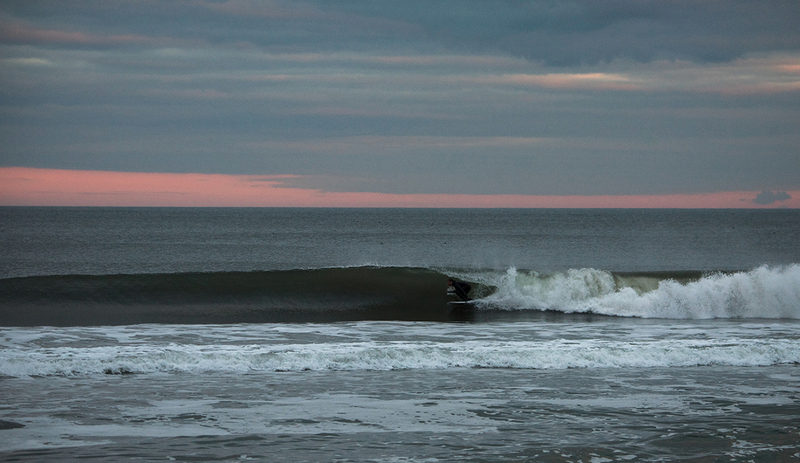 Once we landed in South Jersey paradise walls were shaping with a classic concave drop and a-frames firing for miles. There was an after storm glow and sparks of sunshine to keep the winter day warm. 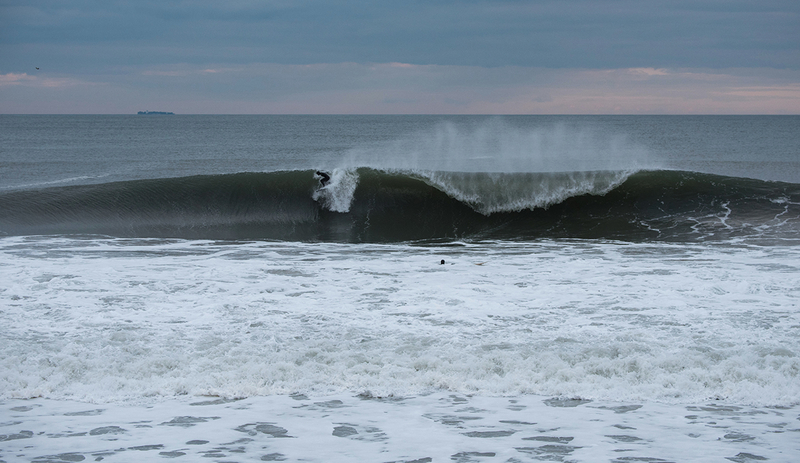 From knee high in the morning to overhead barrels in the afternoon, it felt like techno Jersey. A few surfers were playing in the madness but it wasn’t the usual over crowded surf break. I knew that somewhere else it must be breaking much better. So I decided to head north to my favorite sand bar and eventually meet up with Schine and Alex. That was it, and everyone was there, an ocean community of surfers, photographers, locals watching a fierce show. The sets were lining up and getting bigger, the guys were flying through the fat, hollow barrels, dropping in for the free fall, and getting spit by the ocean and rumbled in the white wash. Energy, beauty, emotion.